Let’s face it, everyone wants to save money on mechanical repairs! The good news is that many costly repairs can be avoided. To show you what I mean, here are some examples of how you can spend less money on your repair bills. Up to 60% of all engines fail to operate at conditions sufficient to prevent deposit formation. This means that full service life cannot be achieved. You may have a sludge, glaze or carbon problem. The symptoms below mean that you need to address things now, to avoid expensive repairs, or total engine rebuilds. Now you can drive your engine clean with CEM’s De-Sludge/Deglaze/De-Coke Pack…or for common rail diesels here. FOC is formulated with detergents and dispersents that specifically target sludge and hard packed carbon. FOC is added to the engine oil, where it has a powerful action to dissolve/re-suspend sludge and deposits from pistons, rings, cylinder bore (glaze), valve gear, oil cooler, oil galleries and sump. Engine rebuilds can be avoided where performance and efficiency have deteriorated due to sticking rings, poor oil circulation, etc. This could save you a fortune. Warning: A very dirty engine can hold an extra 30% of sump capacity as sludge. Be sure you have a big enough waste oil container. 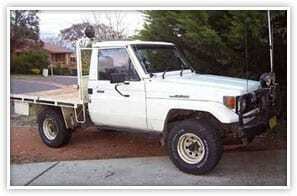 We commonly see Landcruisers & other small Japanese diesels release an additional 3L of “waste oil”. Make sure turbocharger oil hoses are free of constrictions. Change oil and filter as per normal. Part 2. Cleanpower Fuel Treatment. Cleanpower is a highly concentrated chemical that efficiently cleans the entire fuel system. Contaminants are finely dispersed to pass harmlessly through filters, fuel pumps, injectors, etc. An upper cylinder lubricant is incorporated for additional lubrication. Anti-rust protection is powerful. Improved fuel atomization provides cleaner fuel combustion with less residue for deposit formation. Engine idle and operating performance are optimized. Combustion chamber cleanliness improves. Because Cleanpower atomizes the fuel in a finer mist, more air surrounds each fuel micro-droplet, to produce a more efficient burn. You can expect to typically save 7-12%. For example, one Detroit Diesel 550HP engine went from 44.23 to 40.77L/hr, and according to the engine computer saved 12% under cruise mode. A Caterpillar D9H dozer went from 115 to 92L/hr on the same work (11%)… That’s a huge saving of $230 per 10 hour shift! Simply add to the fuel (petrol or diesel) at 1:4000, eg 20mL in 80L fuel, 100ml in 400L fuel. With continuous use, rate can be halved, ie 1:8000. Our customers have found that when it comes to their vehicles, prevention is not only better than curing. It’s a lot less expensive in money and time too. Mitsubishi Truck. This truck does daily line haul work between Rockhampton and Clermont. Fuel consumption improved from 270L to 240L per day. After 500,000km, the cylinder heads were removed. The condition internally was described as immaculate! Fuel filter service intervals were doubled on Cleanpower. For every 20L of Cleanpower used, the owner reports savings of $1400. This was a few years ago, so the savings would be much greater at today’s fuel prices.